What are the Best Exercises for Toning Muscles? Toning muscles leads to improved strength. Hand weights can easily be used at home to improve muscle tone. Toning muscles often involves specific workouts. Some say yoga is the best way to tone muscles. Toning muscles is a major concern of anyone looking to improve strength, fitness level, and a trim physique. Even naturally slim people can appear out of shape if exercise is ignored; toning muscles can help the body retain or create a firm and fit appearance. There are hundreds of exercises that help tone muscles and improve physique, that also have the added benefit of increasing strength and flexibility. Exercises that tone muscles require that the muscles be flexed or contracted. This motion pulls the muscle fibers, encouraging them to become more elastic or grow larger, building more muscle. Most exercises for toning muscles either require repetitious movements or sustained but still stretches of the muscles. Either form can be beneficial to toning muscles. Weightlifting is one of the most common forms of toning exercises. Using the resistance of a weighted device, such as a dumbbell, medicine ball, or weight machine, a person can speed up the toning of almost any muscle. One of the keys to toning muscles through weightlifting is proper postures; without this, the wrong muscles may be used to lift the weight, leading to incorrect training and an increased risk of injury. For best results, some fitness experts recommend combining each weightlifting move with an additional resistance pose, such as doing dumbbell bicep curls with squats. Anaerobic moves such as yoga and Pilates are believed by some fitness experts to be the most effective way to tone muscles. Instead of making repetitious movements, as in weightlifting, these exercises focus on the slow, sustained stretching of muscles. Performed correctly, yoga poses and related exercises can lessen the chance of a repetitive stress injury while still providing muscle stimulation. Since most poses work the whole body at once, these types of exercises can provide overall toning as opposed to specific muscle moves. Muscles can also be toned through sports and cardiovascular activities. It is important to note that not all forms of cardio will work all muscle groups equally; for instance, a swimmer will usually develop far more chest and arm tone than a cyclist, while that cyclist can develop incredible leg strength. For overall toning, look for cardio routines that require varied full body movement. Dance is a fantastic way to increase heart rate and tone muscles, as it works the entire body. The best muscle toning exercises will vary from person to person, based on fitness level, posture, and even genetic makeup. It is important to think of starting a new toning program as an experiment that will need adjustments; if an exercise style does not show any results after a month, consider changing styles. 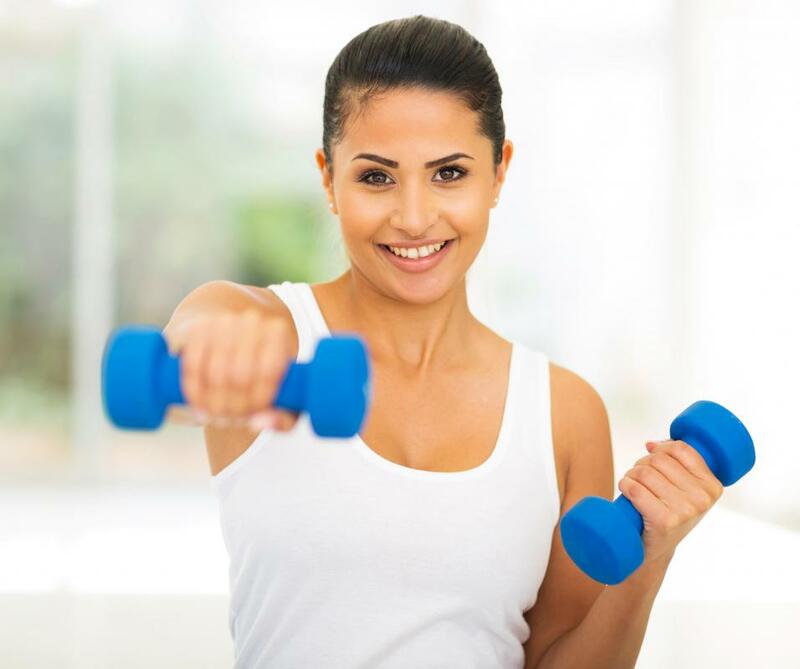 It is also important to bear in mind that muscles can be toned without visible results if a person is significantly overweight; while it is important to physical fitness to pay attention to muscle toning, focus on reaching a healthy weight will usually lead to improved health and more visible results. What are the Best Thigh Toning Exercises? How do I Choose the Best Toning Belt? What are the Best Tips for Toning the Belly?